The story narrates the time when he was a stock broker in Hampstead, London. Nicholas Winton cancelled his holiday to Switzerland and chose instead to visit Prague and help his friend who had asked him to assist in Jewish welfare work. Sudetenland (northern, south-west and western areas of Czechoslovakia, which were inhabited by mostly German speaking people) had already been invaded by Nazis and after knowing that, an immediate fear of impending danger for the Jews descended on Prague. Evacuation had been arranged by the agencies from many countries while Czechoslovakia was searching for solution to the upcoming crisis. And then Sir Nicholas Winton took it upon himself to organize evacuation of the Jewish kids from Prague to London. He started meeting the parents who were eagerly waiting to send their kids to a place which was far from any danger. Sir Nicholas Winton arranged evacuations of the children on the Czech Kindertransport trains. He returned on January 1939 to London and along with his mother he continued the rescue mission. Some children had relatives in UK but for the rest they needed to find foster homes. It is learnt that eight trains reached London but the ninth could not make it. On September 1, 1939, the last train which was supposed to leave Prague, carrying 250 children, was stopped by German soldiers. 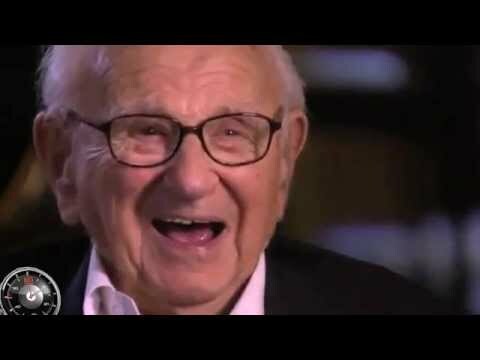 Sir Nicholas Winton somehow managed to save 669 lives and all of them love being called as Nicky’s children. An estimated 6,000 people across the world are the descendants of Nicky’s children. The story would have remained untold and unheard if his scrapbook had not been discovered by his wife. The scrapbook contained pictures, documents, letters and a list of the children rescued. In 1988 a newspaper published his story and later it was taken up by That’s Life!, a BBC television programme hosted by Esther Rantzen. And that very moment the audience and viewers across the globe, who witnessed the spectacular episode, even he himself, realized that his journey with the victims of Nazis had not been ended with the Kindertransport. That day, he discovered himself seated in an audience made up of those who owed their life to him. Recently, Sir Nicholas Winton celebrated his 105th birth day in May 2014 where the guests were none other than the offspring of those 669 children whom he rescued from almost their certain death some months before the Second World War broke out. The British hero was Knighted by the Queen in 2003. He was also named a British Hero of the Holocaust by the British Government in 2010. He was honoured by the Czech government in several ways. He was awarded Order of Tomas Garrigue Masaryk, Fourth Class, by Czech President in 1998. An elementary school is named after him and he was awarded the Cross of Merit of the Minister of Defence Grade I. On his 105th birth day a declaration came along with the gift that he is to receive the Czech Republic’s highest honour. Sir Nicholas Winton will be awarded the Order of the White Lion for giving the Czech children the opportunity to live their life.